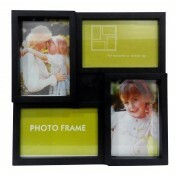 Customize your photos with this revolving photo cube frame! View the six photos you selected all in ..
- Wonderful 3D depth illusion - Use it as landscape or portrait - Two color available blue and pin.. Product Dimension: 2 W X 6.8 H inches .. Product Dimension: 6.8 W X 8.7 H inches ..
Frame Content: I plead God to open the doors of opportunities for you, and that may your effort..
Frame Content: Is a fresh new beginning, a day with a lot of meaning with smiles and laught..
Frame Content: Blissful time inspiring moments rich memories thrilling journeys.Happy conversat..
Frame Content: Product Dimension: 13 W X 17 H inches .. 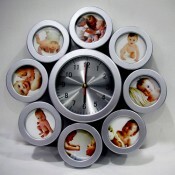 Product Dimension: 5.7 W X 5.7 H inches Photo size: 3.6 x 3 .. 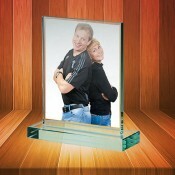 Features: Display your photos in style and impress your friends and family with this picture e.. 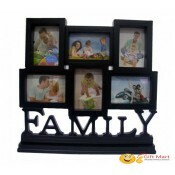 Product Dimension: 7.2 W X 7.2 H inches Photo Size: 6 x 4.6 .. Product Dimension: 7.75(W) x 5.5(H) inch .. 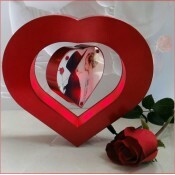 Features: Heart shape table top stand Frame size: 6.5 X 6 inches Holds photos on both side.. 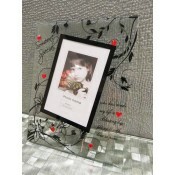 Features: Pack Type:Multi-frame Color:White Style:Modern With picture card: No Materia..